Moving to the usA? call the experts. Relocating across the world to the United States can be a stressful event. Streamline the entire process with NZ’s trusted packing, moving and storage professionals. Provide an itemised list of personal effects that are less than one year old. These items will also be subject to duties and fees. Effects older than one year will be duty free. The shipper needs to be in United States already when the effects arrive. We recommend that you do not ship alcoholic beverages. Each state has different regulations on alcohol which range from paying high duties and taxes to being prohibited. Clearance times and examinations will always have delays and likely additional costs. Prescription medicines must have a doctor’s prescriptions. You cannot bring more than 3-6 month supply. You must have approval prior to shipping firearms and dangerous goods. These may need to be sent separately from household goods. Domestics pets can be relocated, but they will need health certificates and vaccinations. Motor vehicles do not usually comply with US regulations. Check regulations before shipping or storing your vehicle. For more information on customs and visa procedures, visit our resource hub. World Moving & Storage packing materials are designed especially for fragile freight. Specialty cartons and crates are available for valuables and antiques, including bicycles, books, fine art and clothing. We have developed a strict inventory management and high packing standards to ensure that your valuable are cared for throughout your move from New Zealand to the United States. No matter what you are bringing with you to your new home, you can breathe easy knowing World Moving can get it there in one piece. We pride ourselves on hiring our team members with a strict vetting process. Every member on the World Moving & Storage team receives intensive training and the best equipment to set them up for success. We do not hire casual labour or “ring in” staff. 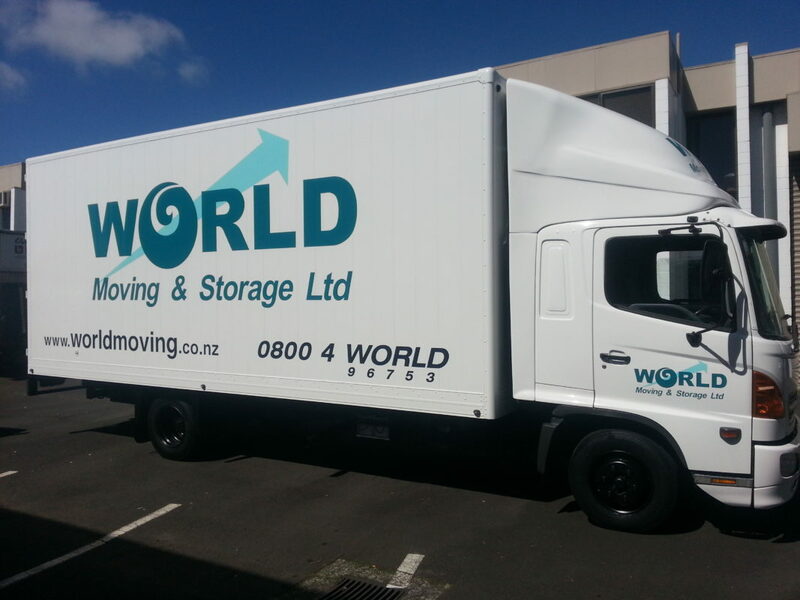 Decades of experience and expertise has developed this team into the top movers in New Zealand. We approach each day with a shared passion for providing excellent customer service and a stress-free moving experience.